VIPAccessEXCLUSIVE: Fuller House’s Michael Campion Interview With Alexisjoyvipaccess At The John Kerwin Kids’ Show! It’s one of the most iconic shows from the ’90s and it’s back better than ever, yup, we’re talking about Netflix’s Fuller House. The families in Fuller House have definitely become an extended family of our own – we share all of the laughs, memories and family bonding with all of the cast-members in the incredible show. Needless to say, when we first found out that one of the most classic shows we loved watching, Full House, was going to have its very own spinoff series, we couldn’t contain our excitement. Now, Fuller House has become one of our top favorite shows to binge-watch, and we totally expected it to be. The show is a massive hit and there is no surprise there as the sensational cast brings together both familiar faces from the original show and terrific, new ones. With a third season coming out in a few months, we all greatly look forward to seeing what excitement is in store in all of these marvelous, new episodes. The magnificent actor who helps bring Fuller House to life is the remarkable Michael Campion, who takes on the role of Jackson Fuller on the show. Michael Campion truly defines what it is like to be a multi-talented and spectacular actor. He has an acting gift like no other and he always leaves us all in awe with his impeccable acting skills. Aside from starring in the fan-favorite show, Michael Campion has also exhibited his talent in other projects including Robo-Dog: Airborne, Robo-Dog, and Christmas Trade, and with every project that he works on, we’re always amazed with how he can grasp the essence of each character so perfectly. Michael Campion has such a warm and humble personality and he definitely deserves all of his successes. We definitely can’t wait to see Michael Campion continue to bring more magic to our screens with more exceptional episodes of the masterpiece of a show known as Fuller House. 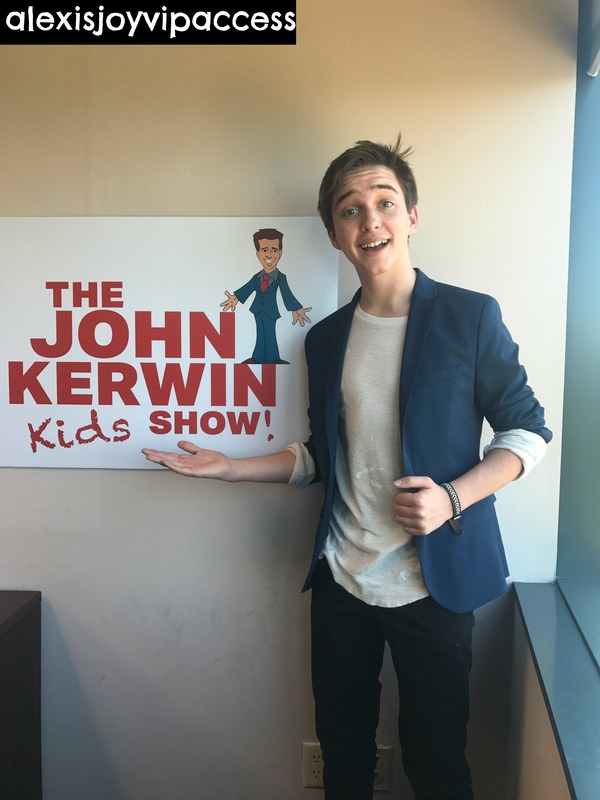 I, Alexisjoyvipaccess had a fantastic time covering the John Kerwin Kids’ Show and had a great time catching up with and interviewing the excellent Michael Campion at the show. Michael Campion dished exclusively to Alexisjoyvipaccess all about what it was like for him to appear on the John Kerwin Kids’ Show, what his favorite episode is from Fuller House, and so much more only in our VIPAccessEXCLUSIVE interview. Michael Campion even spilled on the pranks that the Fuller House cast members have played on one another and who is the biggest prankster – himself or his cast-mate, Soni Bringas – hear what he had to say in our VIPAccessEXCLUSIVE interview below. Thanks for the fun interview, Michael! Check out my VIPAccessEXCLUSIVE interview with the phenomenal Michael Campion at the John Kerwin Kids’ Show below! Previous VIPAccessEXCLUSIVE: Bryce Gheisar Interview With Alexisjoyvipaccess At The John Kerwin Kids’ Show! Next Article: Asia Monet Ray Blew Everyone Away With Her Performance On “Harry” – Check It Out Here!